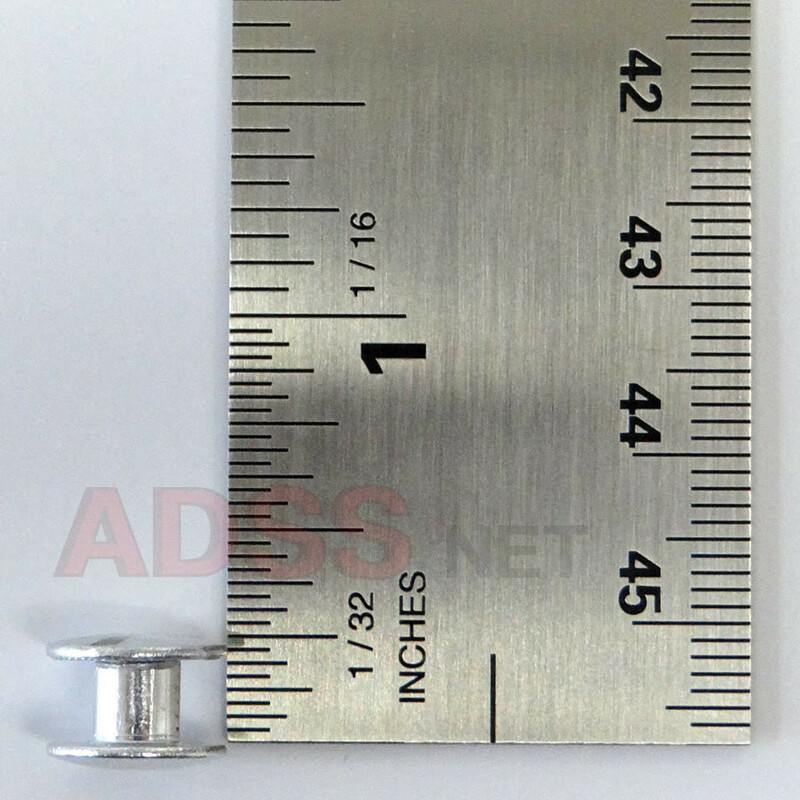 Our 3/16" Aluminum screw posts are designed for binding a small number of sheets of paper together. They are perfect for menus and wine lists as well as other documents. They can be opened to insert or replace pages, and you dont even need to use any tools. 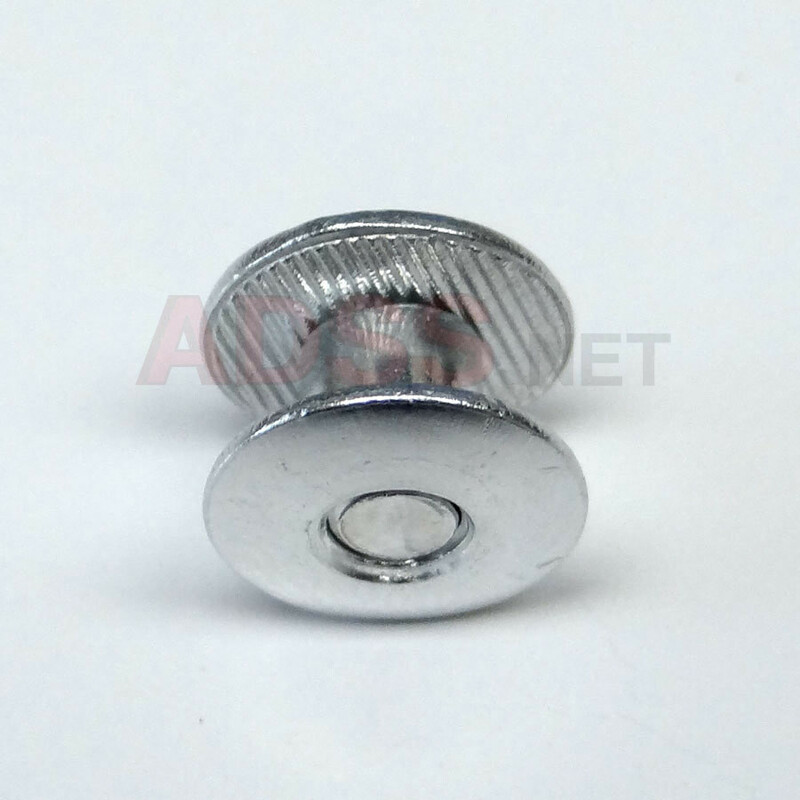 Finger pressure is enough to unscrew them, but if the screw is extra tight a screwdriver or a small coin in the slot will nudge them loose. Of course there are also many arts and crafts uses of these handy binding posts. You can use them to connect just about anything that you can punch or drill a 1/4" hole through. Just push the post through the hole, thread the screw into the post and finger tighten. Your materials are now securely fastened! These short posts are threaded all the way through for extra strength. 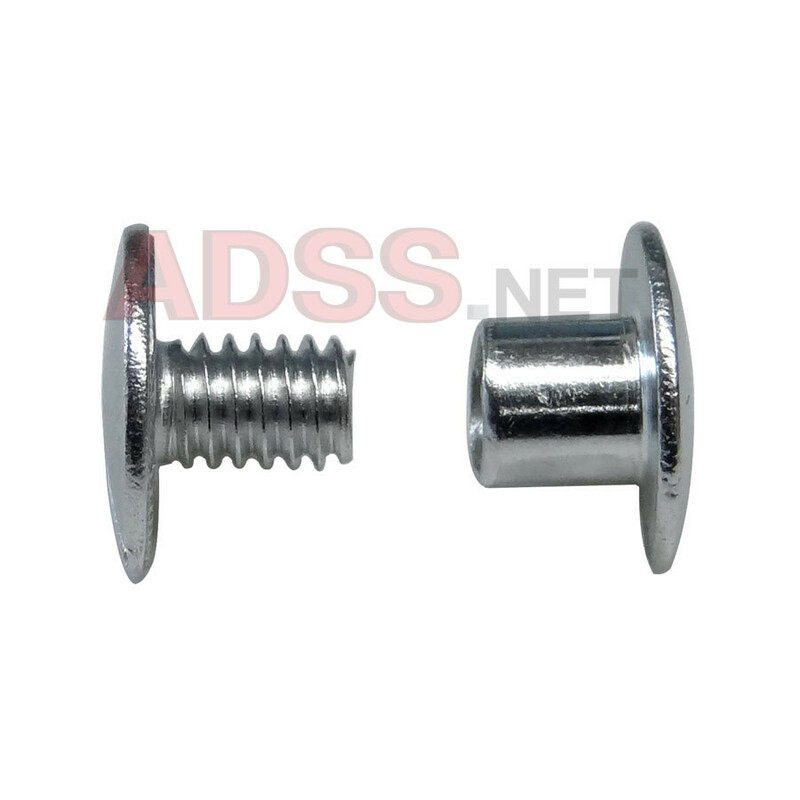 Screws and posts are sold together to assure that you have the proper length screws to fit your posts. The post length is 3/16" and the diameter is 3/16". The post length is the maximum binding thickness (inside length.) We recommend that you measure your document to obtain the best fit. We also recommend that you punch or drill a 1/4" hole in your documents to accept these posts. Posts are 3/16" diameter. 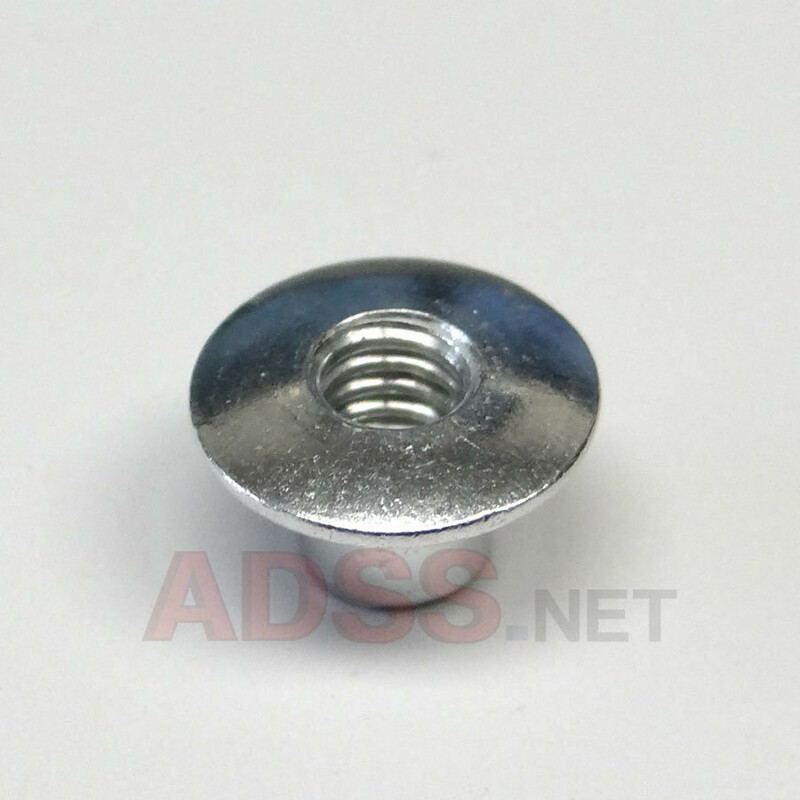 The overall length of a post with the screw installed is approximately 5/16". 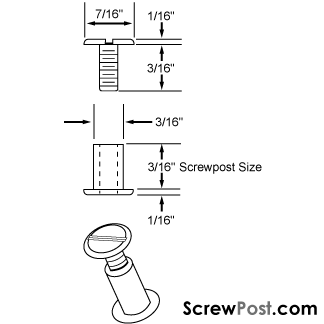 3/16" long screws are furnished with this size screw post. These screw posts can be extended using our 1/4" screw post extensions. Longer extensions may be used, but the extension threads would protrude up to 1/16" from the head of the post. If you wish to extend these posts beyond 1/4", we recommend the use of multiple 1/4" extensions.